I spent some time today baking two pies. My mom called and invited us for supper on Monday because it is 'family day' and because they have an 18lb turkey in their freezer. I offered to make dessert. I did some looking online and found myself on Bakerella's website. I have drooled over her creations numerous times, so decided to try a couple of her past recipes. 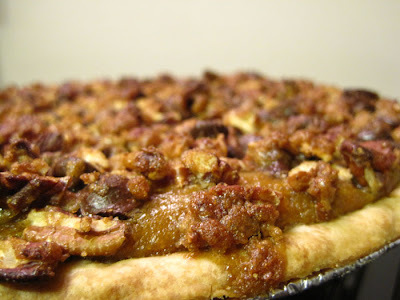 The first was for Butterscotch Pecan Perfection Pie. 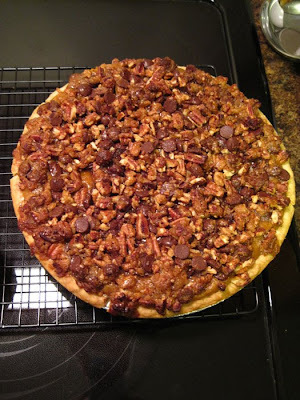 The picture above and below are of this particular pie. It smelled very sweet as it was baking, but I think it will be good. 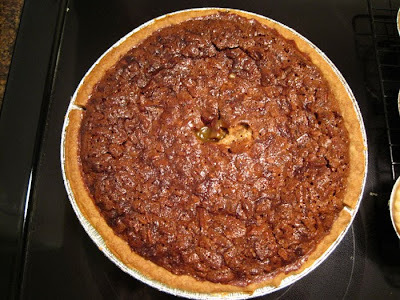 I always enjoy pecan pie, and can only imagine that butterscotch will make it even better! The next three pictures are of pie number two. 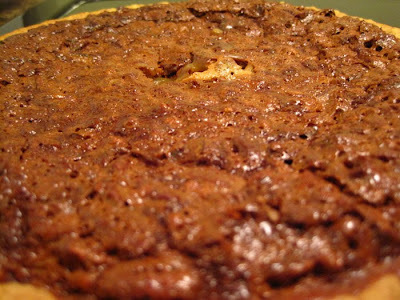 It is a pumpkin pie, with a layer of cream cheese in the bottom, then the pumpkin filling, then this crumbly topping. The recipe for this one can also be found here. I think this one looks like it will be a lot of fun and very tasty! 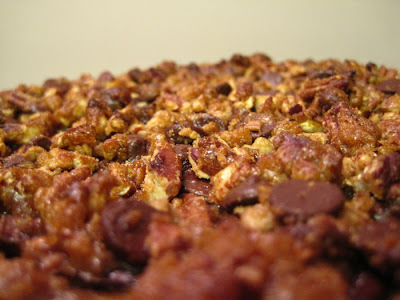 The topping has pecans, chocolate chips, brown sugar and maple syrup. As you can probably tell from the foil pans and rather uniform looking crusts I used premade frozen crusts. I didn't feel like stressing out over making home made pastry. These pies were quite simple without having to make the crust. Not a bad way to spend a Sunday afternoon/evening!